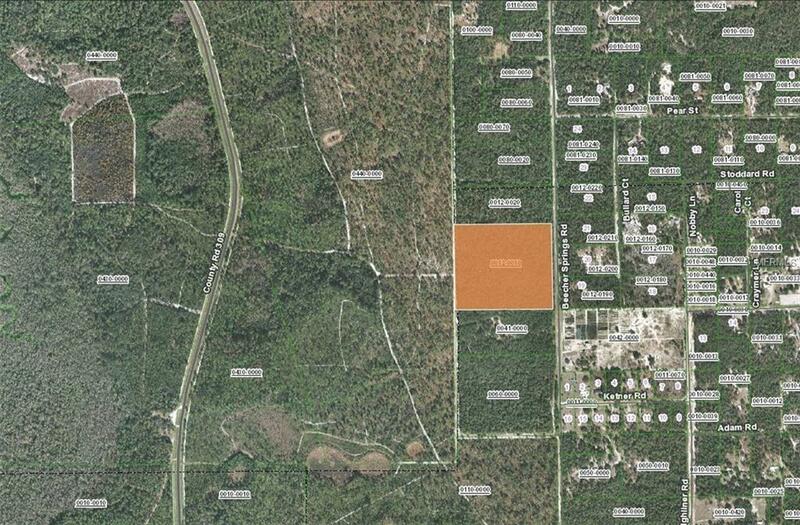 This wooded 19+ acre parcels borders the Welaka State Forest on the west side and fronts on Beecher Springs Rd. There is plenty of room to build your dream home and leave enough natural foliage so you can enjoy watching the wildlife. Bring your horses - the Welaka State Forest has 18 miles of multi-use trails primarily used by equestrian riders with several hiking trails. It's only a 3 mile drive to the picturesque St. Johns River where you can launch your boat at the public boat ramp in Welaka and enjoy a day of boating or fishing.